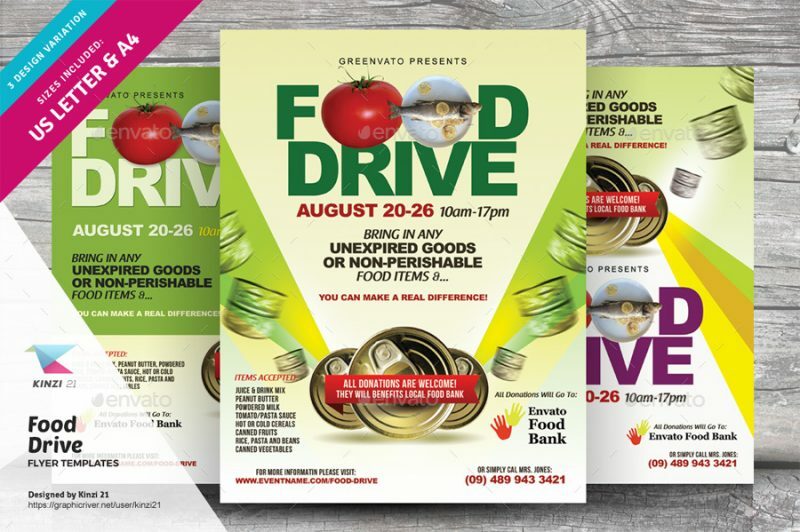 Food drive events are conducted to collect food for the needy. 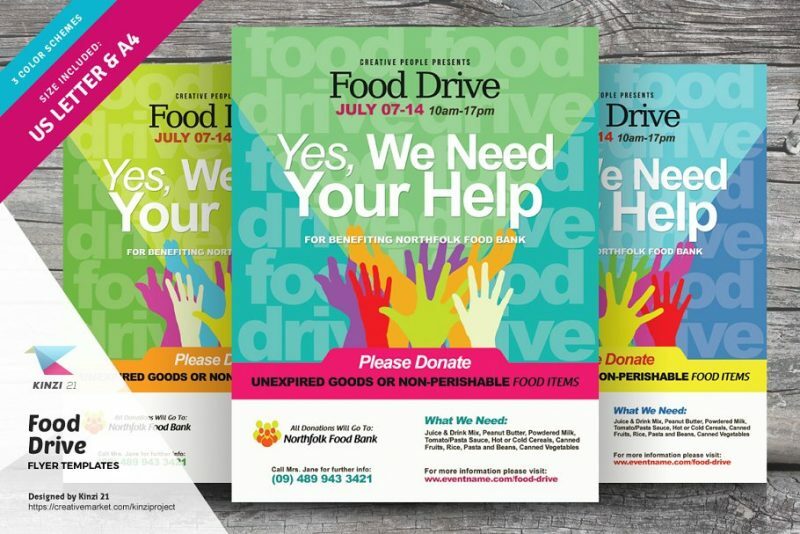 You can promote these food drive events using the flyers. You can share the flyers in the street to share awareness among the people. 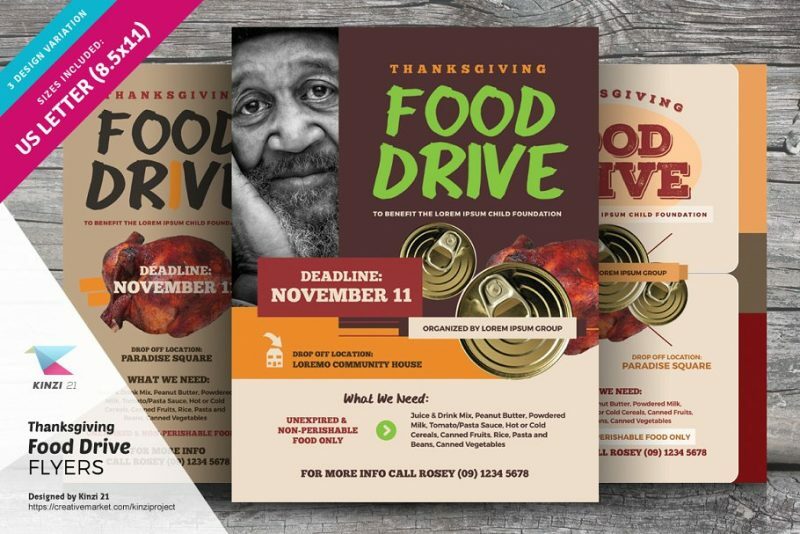 You can download these flyer templates and customize the templates according to your need. You can change the text and images on the template easily via layers. The images can be edited via smart objects. 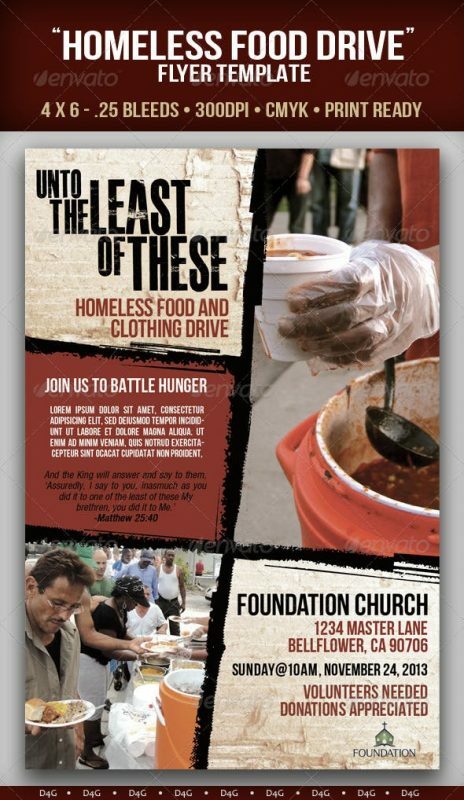 Make your charity event flyer look clean and beautiful by using our pre made templates. You have to have basic knowledge on Adobe Photoshop and Adobe illustrator. All the designers have included help files to make your editing process easy. All the templates are designed by using the free fonts whose links are included in the help file. You can select the best flyer template from the below collection. 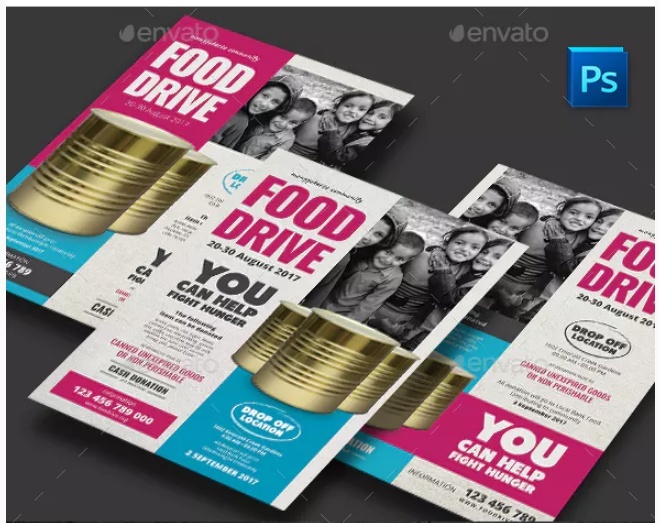 In this pack you get both A4 and US letter size flyer templates for promotion of food drive event. You get a total of three psd files with three different color variations. Only free fonts are used for designing the file. 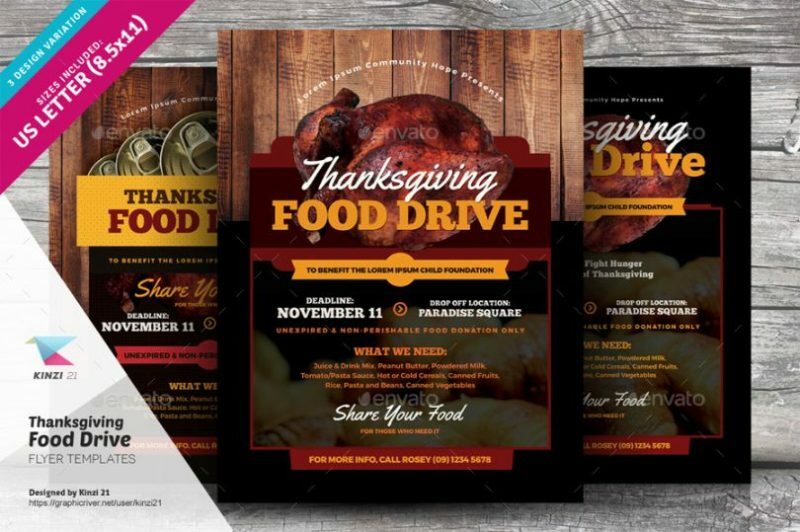 This file is perfect for promoting a food drive on thanksgiving day. Most people share their food the friends and family on thanksgiving but sharing with people you cant afford it is really good. Well layered and organized file. This is a retro style flyer template for promoting the event. You can adjust the size of food tin and customize all text on it. You get the file i AI and PSD format. The size of the template designed is 6 x 8.5 inches. You get the template in 2 print sizes and 3 design variations. You can use it for any kind of food drive event. The template is fully layered and well well organized for customization. 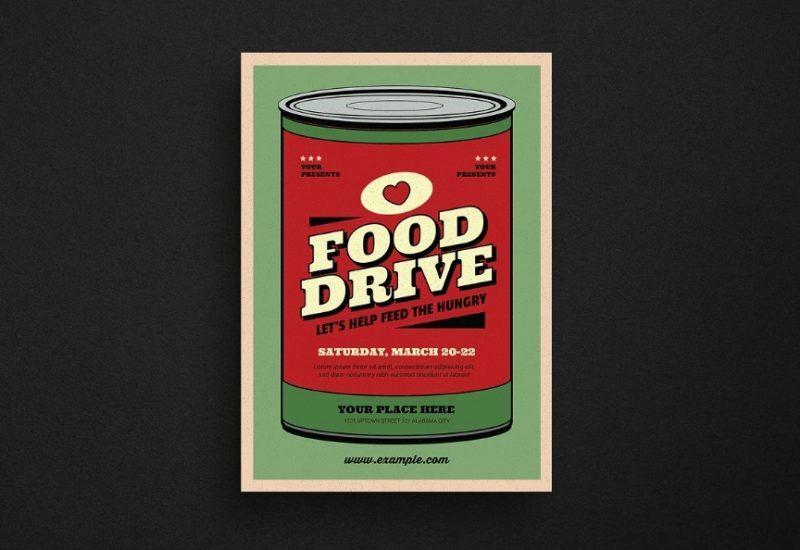 Select the best template that suits your need and make your food drive event successful.